Whenever I buy a red ale I am always hopeful it will be the one that stands apart from all the others. Overall this is not a bad beer but certainly nothing here to make it stand out. Aroma is minimal, pours with a nice head that dissipates quickly and leaves almost no lacing on the glass. Slightly more carbonation than most and has a bit of an aftertaste. Smooth to drink and easy to have more than one. I could not find the ABV on this one anywhere but my guess is 5% or less. Just another average red ale. 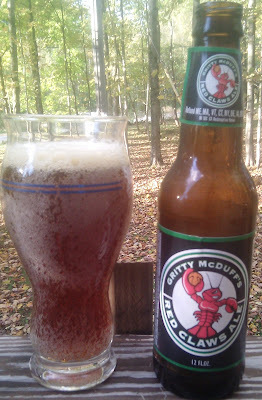 Brewers Description: Gritty McDuff ‘s Red Claws Ale is a what the Brits call a fine session beer: a smooth ale, not too strong and full of flavor. 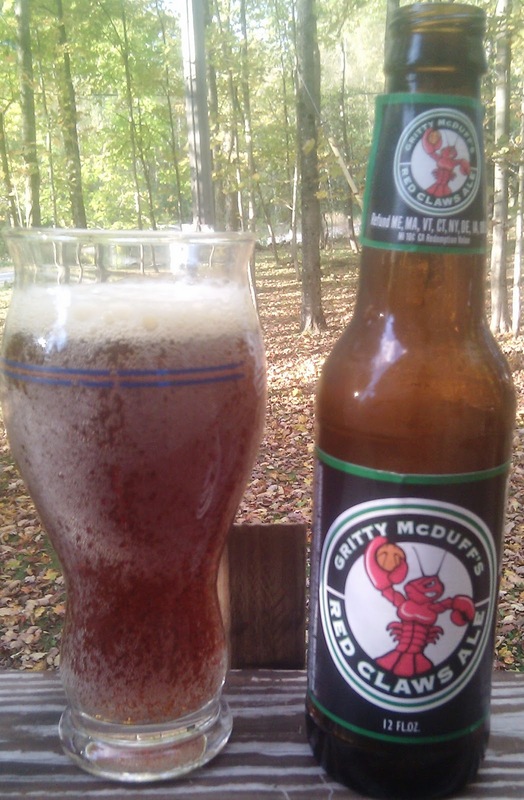 Red Claws Ale has a dark red-amber color; a full, round malt palate; nutty and roasted accents, and a delicate hop flavor that whispers with just a hint of floral finish. The perfect ale for a long afternoon in the pub with good friends and traditional fare.